Unifor President Jerry Dias: “We have our first opportunity in a long time to really build this industry." Still basking in the glow of what it considers successful 2016 contract negotiations with the Detroit Three automakers, the union Unifor now has its sights set on the auto parts supply chain. Unifor last fall secured $1.5 billion worth of auto spending from General Motors, Ford and Fiat Chrysler Automobiles. The automakers agreed to upgrade and retool facilities and bring at least one new engine program and a new product to operations in Ontario. Unifor says that spending will be good for the parts industry, as parts will be needed to feed the assembly plants. 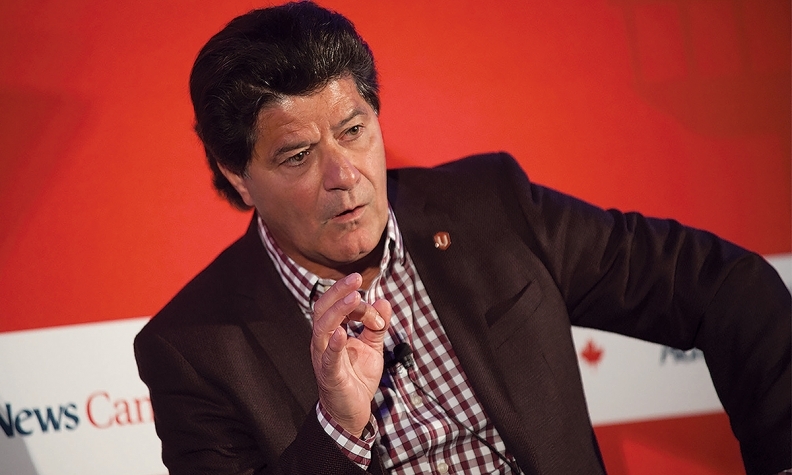 “We have our first opportunity in a long time to really build this industry,” Unifor National President Jerry Dias told Unifor’s largest-ever gathering of more than 140 auto parts union leaders and staff May 26 in London, Ont. That’s where Unifor local leaders from across the auto parts sector gathered for their first joint bargaining strategy conference, where they established a common set of goals for future contract talks. Unifor represents about 17,000 workers in the auto parts sector at 120 bargaining units with 79 different employers. Bargaining as a united sector with a common set of priorities will strengthen union’s position at the bargaining table and enable it to improve conditions in the industry, Dias said. The union didn't say how many collective agreements expire this year. Collective issues range from the length of new agreements, the rejection of two-tier wages, temporary work, pensions and better opportunities for hiring of laid-off members, the union said. "This sector provides good jobs in dozens of communities. By taking a united approach to bargaining, we can build on that," said Unifor’s Independent Parts Sector President Robin Dudley. But Ian Lee, a professor at the Sprott School of Business who is working on a paper about Canada’s competitiveness in the auto industry has a warning for Unifor if the union plans on increasing wages. “If Unifor is successful over the next several years of increasing the cost of wages and benefits to the auto parts sector I think the impact will manifest itself in two dimensions. Smaller, weaker companies will go out of business. In terms of the bigger ones that are competitive, that are successful, this will accelerate their decision to move more production to the States and Mexico,” Lee said. Tony Faria hopes Unifor’s message is not one of “pattern bargaining,” a technique the union often uses during talks with automakers. Pattern bargaining usually sees all the automakers agree to essentially the same terms of the first ratified contract during talks. “I have always been opposed to the concept of pattern agreements. The three Detroit companies are not the same. GM is almost four times the size of Chrysler. GM and Ford are four times as profitable as FCA. GM and Ford have far more cash than debt while FCA has more debt than cash. You can go on-and-on about the differences in the companies.” Faria said in an email to Automotive News Canada. “What is a good or affordable contract for one company doesn’t necessarily work for another. Automotive Parts Manufacturers’ Association President Flavio Volpe said "suppliers enjoy a strong and healthy relationship with their workforce in Canada." "Unifor is a part of the competitive automotive supply story," he said. "We have a common interest in a prosperous future and the sector looks forward to continue building on the things that have helped make us all successful to date."